Innovations in lightweight construction in the automotive industry call for innovative fastening technologies. 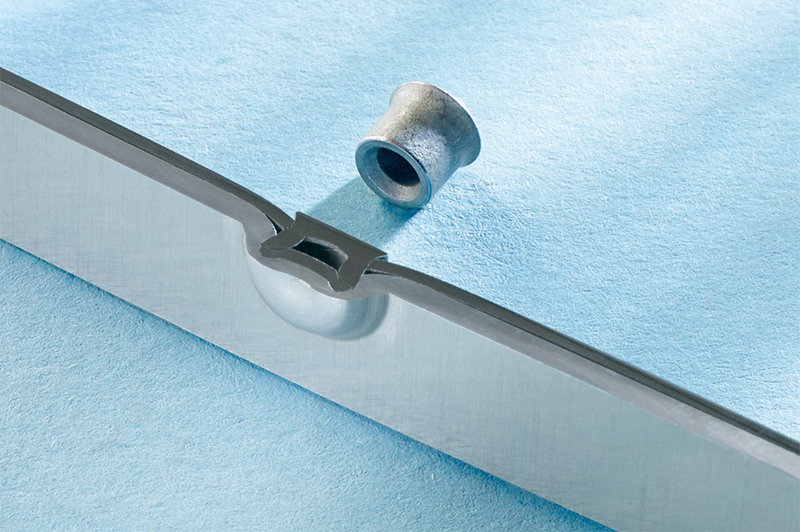 This self-pierce riveting technology allows to join different materials in a single production step without pre-punching. The result is a high-strength as well as gas- and liquid-tight joint on the side of the die. In the industry, the Böllhoff Group is considered as a competent partner being highly recommended in the future-oriented self-pierce riveting technology. The company has an extensive portfolio of fasteners, feeding technology, system integration and process monitoring. For many years, the automotive industry has put its trust in that comprehensive competence. However, it is also about shaping the future. Today's lightweight construction and the related use of materials, ranging from aluminium to ultra-high-strength steels, require further development of established self-pierce riveting technology beyond proven technology limits. And again, we succeed. The new RIVSET® HDX meets the requirements resulting from the well-known limits to the setting tool's setting force as well as the requirements regarding material mixes when joining ultra-high-strength steels and ductile materials. For this purpose, the fastener geometry has been optimised and the rivet hardness adapted. Böllhoff realises stable joints using materials of tensile strengths up to 1,600 MPa and a sheet thickness of 1.8 mm in the top layer. RIVSET® Automation H setting tools and machine components used in the process are modules to be configured for HDX use. Consisting of the standard Böllhoff Control System (BCS) and the standard Böllhoff drive technology, the required rivet feed can be selected so that machine characteristics needed for large-scale production such as cycle times < 1.5s and availabilities > 99.5% remain untouched. Other than SKR/SK rivets, RIVSET® HDX rivets are not guided in a profiled feeding hose in cross direction, but in a round hose corresponding to the respective rivet head diameter in longitudinal direction. 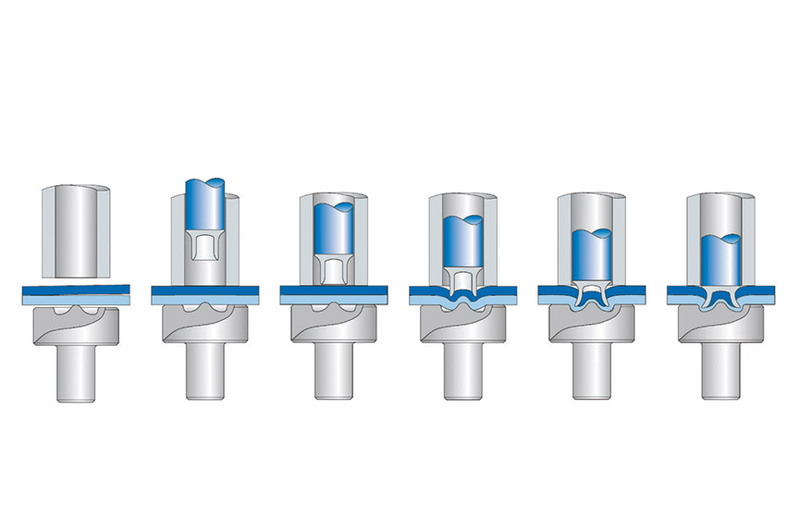 The different feed of the rivet affects all components for rivet feeding in a RIVSET® Automation H machine. 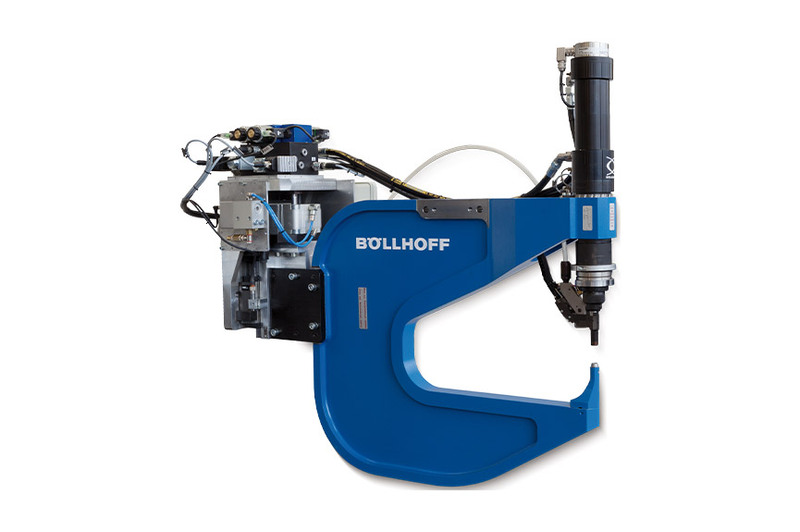 Böllhoff machine technology therefore allows uniform series production that does not depend on the selected rivet. Consistent orientation toward the customer supply chain is the cornerstone of a partnership cooperation with the automotive industry. At the same time, it is the key to find the optimal solution. This orientation has made Böllhoff the world's largest supplier of self-pierce rivets and assembly systems from its own production – ideal for highest joint quality.